San Francisco's top transit official says he's not worried about the safety of a major rail project following the death of a worker on the job and revelations that his employer has a history of workplace safety violations. Patrick Ricketts, a 51-year-old signal technician from Williams, in Colusa County, was hit by a steel beam inside the Twin Peaks tunnel project on Friday afternoon. He was taken to a hospital, where he died that night. On Tuesday, KQED reported that state workplace regulators had investigated Ricketts' employer, Oakland-based Shimmick Construction, 13 times in the last five years and issued 23 citations to the firm. That included a $50,000 fine in 2016 in connection with the death of a worker operating a forklift. The San Francisco Examiner and NBC Bay Area later reported Shimmick was tied to nearly 50 workplace safety violations over the last decade. The reporting prompted Supervisor Norman Yee, who represents the area where the Ricketts' death occurred, to call for a hearing into safety issues associated with the project. "I am deeply concerned about the history of workplace and safety violations committed by this contractor," Yee said in a statement Wednesday. "As a city, we must make every effort to fully vet our contractors and ensure we are only contracting with companies that are forthright about their safety record and put the safety of workers at the forefront," Yee said. The Supervisor was referring to media reports that Shimmick told city officials, when it bid for the project, it had not been cited for any serious or willful safety violations by California's Division of Occupational Safety and Health (Cal/OSHA). Ed Reiskin, director of transportation for the San Francisco Municipal Transportation Agency, was asked by a reporter on Tuesday at a celebration for the Masonic Avenue Streetscape Improvement Project whether he's worried about the safety of the tunnel project and if pressure to complete it in the coming weeks may have led to Ricketts' death. "No, I don't have any concerns and we're absolutely not rushing. We never rush construction work," Reiskin said. "We have a lot of folks working there and it's a very kind of confined environment, but we go above and beyond, and always try to do so, in terms of making construction sites safe." "What happened is horribly tragic and very sad and our thoughts are with the family," Reiskin said. "We want everyone working on any of our job sites to go home safely everyday." Reiskin said Muni officials have conducted an "exhaustive investigation" and taken "a number of precautions" to prevent another fatality on the project. "The job site is safe. It's safer now," he said. Reiskin and other SFMTA officials have emphasized that Ricketts' death is the only injury associated with the Twin Peaks tunnel project. But at least one leading expert on workplace safety issues said that Friday's death combined with Shimmick Construction's safety record should lead to more scrutiny by state regulators and city officials. "It raises concerns for me," said Linda Delp, director of the UCLA Labor Occupational Safety and Health Program. "There's a recurring pattern here of problems." Cal/OSHA is investigating Shimmick in connection with Friday's fatality. A representative for the company did not respond to questions about the firm's safety record but did offer a statement. "We are deeply saddened by this terrible tragedy and we are working with all relevant agencies to investigate the matter," John Gallagher, a Shimmick spokesman, said in an email. 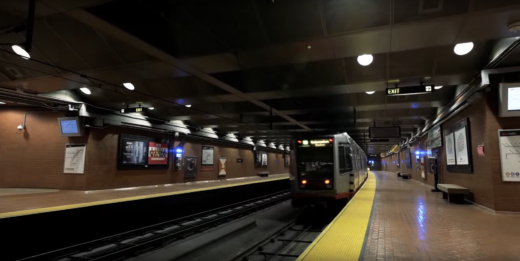 Shimmick has a $40 million contract with the city on the tunnel project between Muni's Castro and West Portal Stations. It's a job that inherently has its own risks, according to John Doherty, business manger and financial secretary for International Brotherhood of Electrical Workers Local 6, a San Francisco union that represents 2,800 people and about a dozen workers on the Twin Peaks tunnel project. "They're only two ends of the tunnel. You can't just dodge to the side to get out of the way of something," Doherty said in an interview. "It's a dangerous place and you have to be extremely heightened on your surroundings." Friday's fatality marked the first on-the-job death of an IBEW member in San Francisco in more than a decade, according to Doherty. "There's a pretty heavy feeling down there," Doherty said. "It's just a tragic situation." The beam pinned Ricketts on the ground just after 4:30 p.m. on Friday. Fellow workers rushed to help and called 911, according to SFMTA officials. 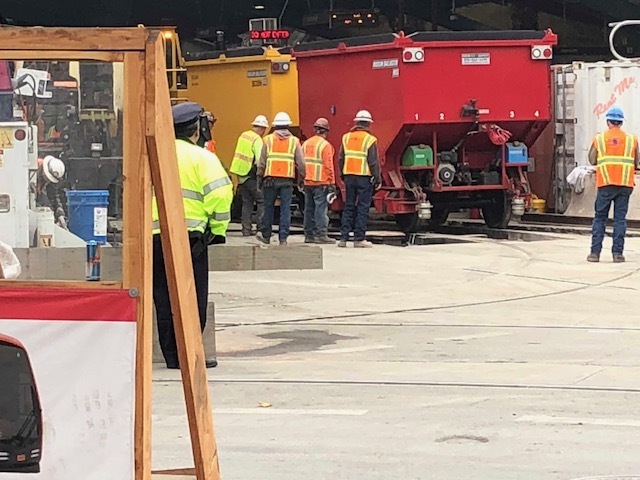 Firefighters came through the West Portal side of the tunnel to extricate the injured worker, and he was taken to San Francisco General Hospital where he died. The following evening work resumed at the site and grief counselors were made available to people working on the job. The 100-year-old tunnel is undergoing major rehabilitation and replacement work that includes track replacements, wall and ceiling repairs and seismic upgrades. SFMTA officials say the project is slated to be completed in late August. Monica Samayoa of KQED News contributed to this report.